Having a conservatory added on to your house can add up to around 21% value onto the price of your existing home. Therefore it is important to make sure it is kept clean. This article includes some easy, helpful window and conservatory cleaning tips. 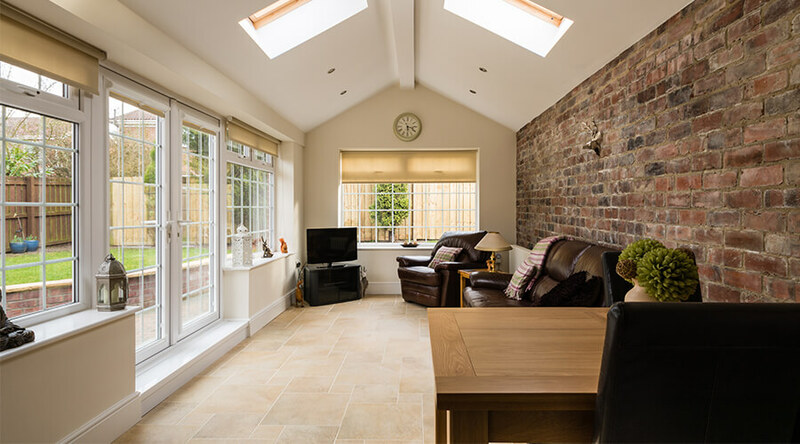 A conservatory is the perfect cheaper alternative to a home extension that adds more space to your home, without having to go through the whole expansion process, and there are a lot of designs and styles to choose from. But it can sometimes be difficult to maintain, and things such as dust, mildew, mould and prolonged exposure to the elements can turn your shiny bright conservatory into a bit of a dingy disaster. But not to worry because in this article we are going to give you some tips and tricks on the best ways to keep your conservatory clean, so keep reading! The first issue is that conservatories can be different sizes and heights depending on the amount of space you have to spare, meaning it can usually be quite difficult to reach the roof of your conservatory making it an easy target for mould and dirt to grow and collect. conservatory double glazing in Milton Keynes have plenty of experience in fitting tiled conservatory roofs and would be more than happy to provide advice or a free consultation. A conservatory roof needs to be swept to remove dust or debris and can then be hosed down with a low strength power wash to eliminate all traces of moss or mould. Telescopic cleaning brushes are also available on the market and make conservatory cleaning a lot more straight forward, with a telescopic cleaning brush it is not necessary to use a ladder to reach your roof as the brushes come in sizes that are up to 17ft long. Power washers are an easy way to keep dirt and algae away and will remove them in seconds. However, a power wash should only be used on parts of your conservatory that are not glass and should never be used on any of your windows. A power washer is efficient for cleaning surfaces such as cars, brick and concrete driveways or patios. Some power washers you can buy can allow you to add sand or chemicals into the mixture and are used to clean surfaces that have been marked with tough stains. For example, graffiti or an old coating of paint, they can also be used to clean your roofs, but you should check with your manufacturer beforehand to save yourself from damaging any surfaces. Cleaning your conservatory can be very long winded, so its best to break the stages down step by step and take your time on each one. Start by sweeping down your roof with your telescopic cleaning brush or with a standard broom although you are more likely to see better results with a specially designed tool. After lightly brushing your roof down if you have checked with your manufacturer, and it is okay to do so then on a low setting hose down your roof with a pressure washer to remove any left over mould or moss. As for aftercare, it is wise to coat your roof in a mould moss and algae removing solution to prevent any re-growth and prolong the cleanliness of your roof. Windows are a pain to clean and can be a nightmare when they get marked or stained; there are two tricks you can use here to ensure your conservatory windows are left sparkling clean. Your standard warm soapy water is a good cleaning agent for your windows as the dish soap will break down any grease or harsh substances, and the warmth will also help breakdown. You may need to repeat this a few times for the dish soap to work and make its way through any marks you may have on your windows. Dish soap will not leave any streaks and works best when rubbed onto your windows with a sponge. Our next tip puts your standard cupboard items to the test. Vinegar is used for a lot of everyday household tasks such as to remove stains or to clean things as it’s antibacterial and eco-friendly making it a fantastic substitute for harsh chemical household cleaning products. Vinegar has an acid composition, so the substance will accumulate on glass surfaces leaving it streak free and sparkling. This recipe is easy, and only two products are necessary. Take one part hot water to one part vinegar, soak your sponge in the mixture and begin to rub it onto your windows. Then using a damp squeegee begin to clean your window from top to bottom, scrubbing any marks or stains. It is recommended to clean while there is no direct sun on your windows to avoid any reaction, and so that your windows can dry naturally. If for any reason there are streaks left on your windows afterwards, mix the same solution in a spray bottle and spray it onto your window and leave for half hour. Wipe off with a sponge and your streaks will have disappeared. Your final step will be to clean the framework of your conservatories. You must ask your manufacturer before doing this because some materials will become damaged by any chemicals or store purchased products. UPVC conservatories must be wiped down with warm soapy water; you must not use chemicals as it will damage your conservatory. Wooden conservatories should also be sponged down with warm soapy water and then afterwards treated with oil to protect from the elements. To keep your conservatory in top shape, it is recommended you clean every six months to prevent leakage, roof damage and decay. To remove any waste from your drainpipes and gutter, you can just remove them by hand. However that isn’t very pleasant, and it’s most likely you won’t want the contents of your gutters on your hands. It can take a while although, there are professional companies that can provide this service for you, it can end up being rather expensive. However sometimes professional service is required if your gutter or drain is blocked or damaged. Drain rods can be used to pull out all excess waste, depending on the size of your conservatory this process can also be rather wearisome, but most customers who have used these products have been satisfied with their results. So we hope this article helps in the upkeeping of your conservatory, if you don’t have a conservatory but are searching around debating to invest in one then Crown Conservatory Double Glazing in Milton Keynes offer beautifully built conservatories which are perfect to add to your home. We hope you enjoyed this article and can put some of these ideas to use!